Cash flow management is essential for your company’s long-term survival. Improperly managed is one of the most common causes of cash flow shortages. In the long run, companies that can’t collect payment from their customers are forced to draw from their cash reserves or seek outside financing to make ends meet. As a result, owners have less cash on hand to manage operations, pay employees and ultimately grow their businesses. Here are 7 effective ways to improve your cash flow by getting paid faster. If you want to speed up the invoicing process, consider sending bills via email instead of the local postal service. While snail mail can cause your invoices to be delayed by several days, email ensures they reach the intended recipient immediately. One of the many benefits of invoicing via email is that it allows companies to reduce their payment terms. As a result, you can collect on bills faster, ensuring sufficient cash flow for the coming weeks. Send your invoices as soon as a project is completed rather than waiting until the end of the monthly billing cycles. This helps keep work “fresh” in clients’ minds. If you’ve worked with a customer for years, you may be tempted to offer a credit on your products and services. Extending too much credit, however, can seriously affect your accounts receivable. Before setting up a credit account, check a business’ credit history to ensure it has a record of paying bills on time. Additionally, you should set up clear terms and inform your clients of all the details before any agreements are made. Happy customers are more likely to pay their bills on time. In the event that a customer is short on cash, he will likely prioritize those companies with whom he has a positive relationship over the ones that regularly under-perform. To avoid late collections, develop strong working relationships with all your business clients. If you want to get paid on time, give your customers as many options as possible to make their payments to you. For instance, consider options like JomPAY, PayPal, SenangPay, credit cards or ETF (electronic funds transfer). One option for reducing workload while boosting cash flow is to hire an accounting company to handle your finances. 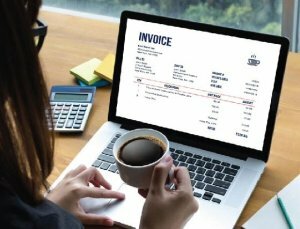 By turning your accounts receivable management over to another firm, you can focus on what matters: running your business. While you may be tempted to turn over unpaid invoices to a collections agency, it’s best to use this option as a last resort. Handing over accounts to collections can result in significant financial costs along with lost business. Before going down this route, call the client personally and make one final appeal for payment. For a better, hassle-free way to manage cash flow, consider subscribing to CTOS Credit Manager. With Credit Manager, you can make use of the Electronic Trade References (eTR) function to see if your customers have any records or history of outstanding payments and amounts owed to other companies. This way, you can make more informed decisions when it comes to extending credit. You may also utilise the eTR function yourself as an SME – in the long run, this will help reinforce positive payment behaviour in customers.